There's a new guy around our living room. Yup, Santa (aka my madre + padre) gifted this gorgeous cable-knit throw to me for Christmas! I know I was just chit chatting yesterday about how awesomely warm the weather has been, but let's pretend it's appropriately an artic cold February day. Enter my new, warm friend. 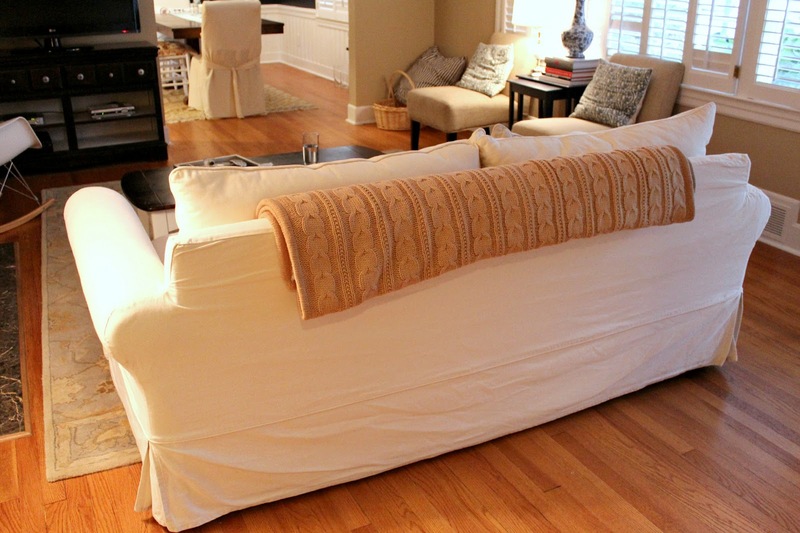 The new blanket hangs out on the back of our couch, just peeking over for some fun texture. Well, let's be honest, most of the time it's wrapped around yours truly... it's ridiculous how c.o.m.f.o.r.t.a.b.l.e. this thing is. Soft as buttah, baby. Nothing like a little cable-knit love to make dreary winter days just a little bit better! Pick up your own over at Pottery Barn in lots of fun colors right here. MADE!? uhm amazing. i LOVVEEE throws. I love a good throw and always have one wrapped around me when on the couch. This one looks so comfy. 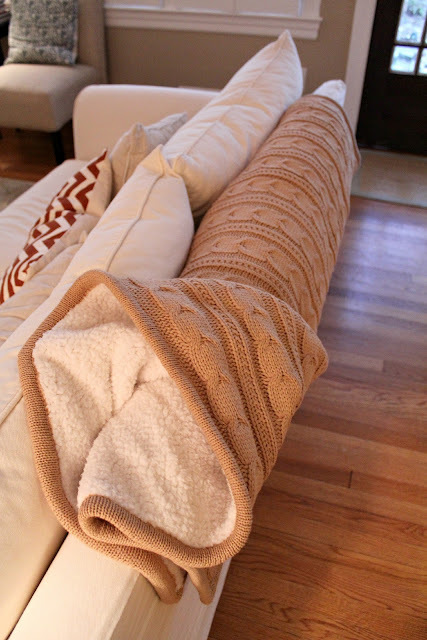 A cozy blanket is the BEST accessory for a comfy sofa or chair. 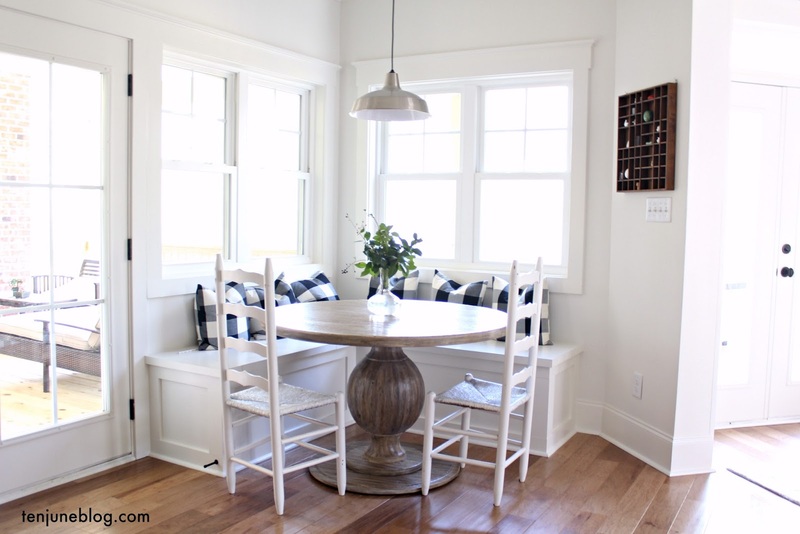 I've been looking for something similar to soften a little arm chair in our master bedroom. looks sooo cozy!! love it! Love a great throw and have several! But, I am loving our springlike weather!! Funny! I bought one almost exactly like that (in a pretty blue) for my mom for Christmas. Only the price was much nicer...it was from Kohls for $40...orig $120! Oh, it looks so soft and cuddly! 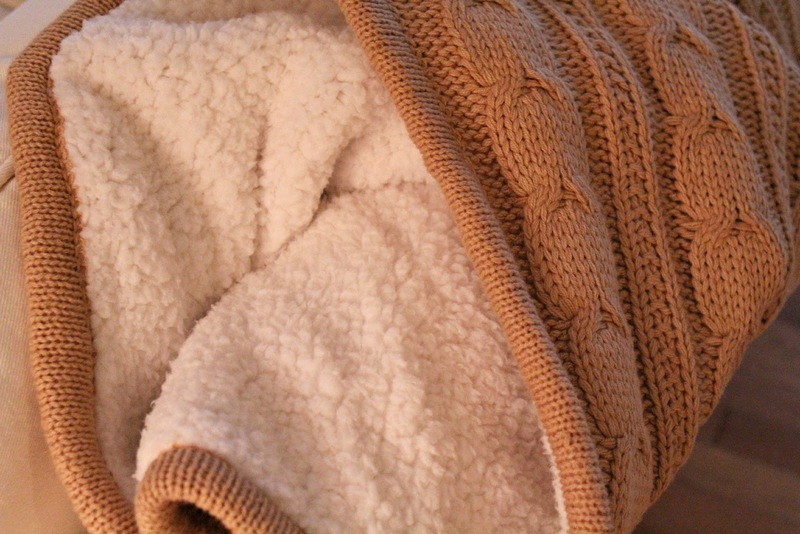 I love the combo of softness and texture. Perfect! looks very cozy! love cable knit blankies. Oooo that looks super cozy! I love me a great blanket! total cable-knit love! loving this blanket!! That DOES look ever so cozy!! I need one for Modern Family viewing! Ohhhh that looks amazing! It look wonderful before you showed the fuzzy underside and with that it looks extra cozy! 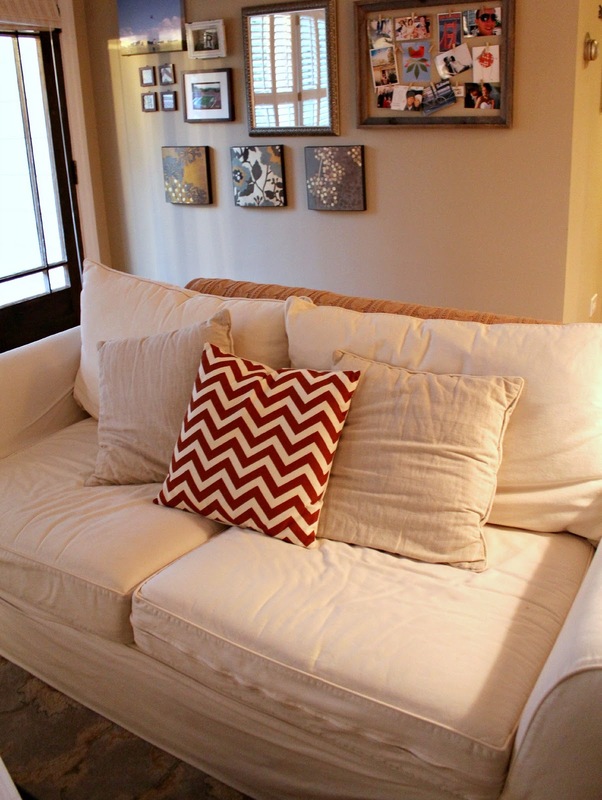 That throw looks INCREDIBLY comfy and looks perfect in your living room! Wow I covet that blanket!! Love being warm and cozy, but I can't buy anything like that until Cash gets older :( those darn teeth!!! Ooo! I love it! I'm a sucker for blankets on the couch! that looks so comfy cozy!! love the color too!